The Fang® Front Signal Light Inserts are a great way to add modern styling and class to your bike while also increasing visibility. We've engineered the lens to amplify light output for maximum brightness as well as DOT compliance. The result is an eye-catching white LED halo driving light and super bright amber turn signal. Harley-Davidsons sold outside the United States sometimes have single circuit sockets. The Fang® Turn Signal Inserts require a dual circuit socket to function. Please contact us before your order if you need assistance determining which socket you have. '14-up Harley-Davidson Touring motorcycles do not require a load equalizer. '02-'13 Harley-Davidson Touring motorcycles may require a load equalizer to correct turn signal timing. '11-up Harley-Davidson Softail motorcycles do not require a load equalizer. 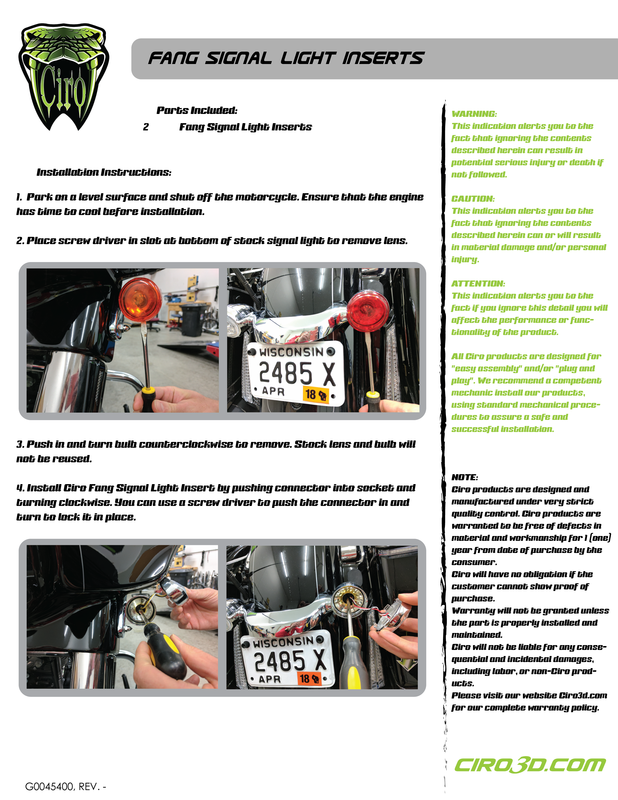 '00-'10 Harley-Davidson Softail motorcycles may require a load equalizer to correct turn signal timing. '12-up Harley-Davidson Dyna motorcycles do not require a load equalizer. '01-'11 Harley-Davidson Dyna motorcycles may require a load equalizer to correct turn signal timing. '14-up Harley-Davidson Sportster motorcycles do not require a load equalizer. 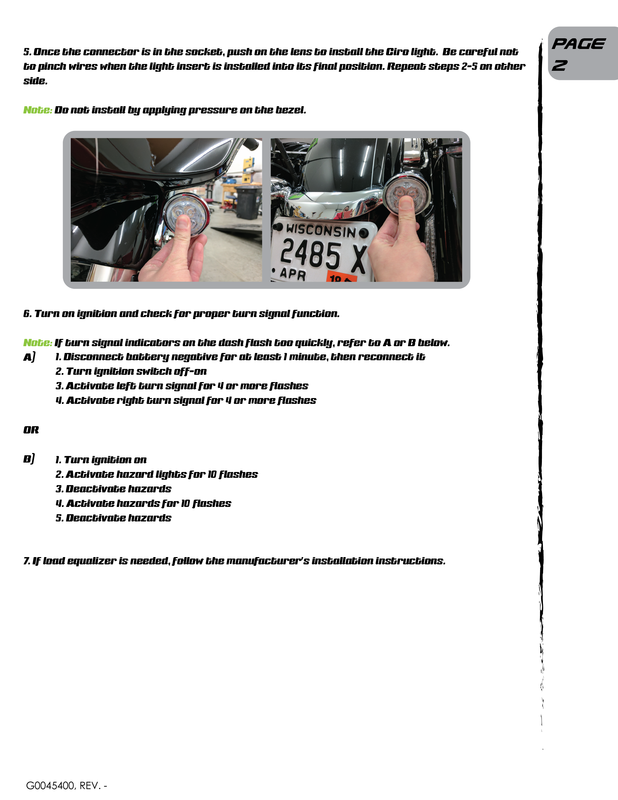 '02-'13 Harley-Davidson Sportster motorcycles may require a load equalizer to correct turn signal timing.